Danfoss has announced the return of its Advent Calendar online competition, with a daily prize draw giving away festive prizes from 1 December to Christmas Eve 2018. Entry is free and each day’s lucky winner will pick up one of the 24 prizes which includes an Amazon Echo with Alexa, a top-of-the-range tablet, the latest fitness tracker, luxury hampers, holiday-ready luggage, and adrenaline-fuelled driving experience days. 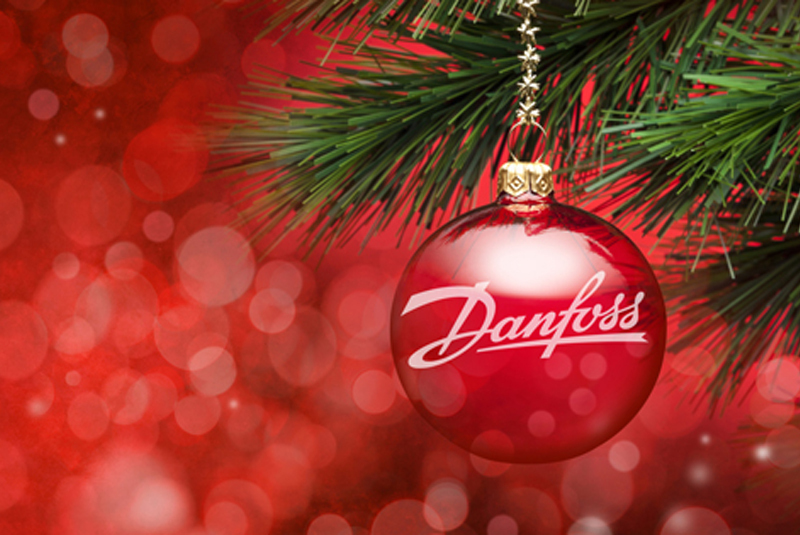 Behind each day on the Advent Calendar is a multiple choice question which relates to Danfoss’s product range. Entrants will have to submit the correct answer from a choice of three, with the help of hotlink hints to the relevant page on the Danfoss website. Every correct entry will be entered automatically into that day’s free prize draw and the winner selected at random at the end of the day. All competition winners will be notified by email and their prize dispatched to the address provided. Professional heating installers, plumbers and merchants can enter the competition for free when they sign up for the Danfoss E-Newsletter and Danfoss will be sending a direct link to the newsletter sign-up page across its Twitter.